Come play with us and dive into the huge universe of Thai Massage and Therapeutic Flying. Nina, Boris and Pau will guide you to be able to give and recive, fly and be flown, feel and touch, share and play. 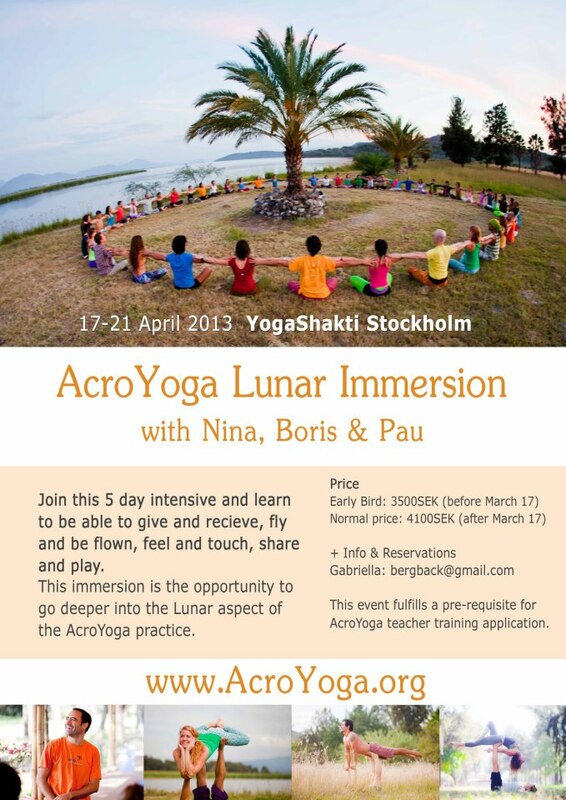 This immersion is the opportunity to go deeper into the Lunar aspect of AcroYoga. Register before March 17 and enjoy the early bird price! Full 5 Days pre-reg: 3500 SEK early bird! This event fulfills a pre-requisite for AcroYoga teacher training application. Attend with a copy of the AcroYoga Manual available in the Online Store.